Services for Dicie (Riggs) Sutton, 97 of Muldrow, Oklahoma will be at 10:00 am on Monday, April 8, 2019 at Mineral Springs Baptist Church in Muldrow, Oklahoma. 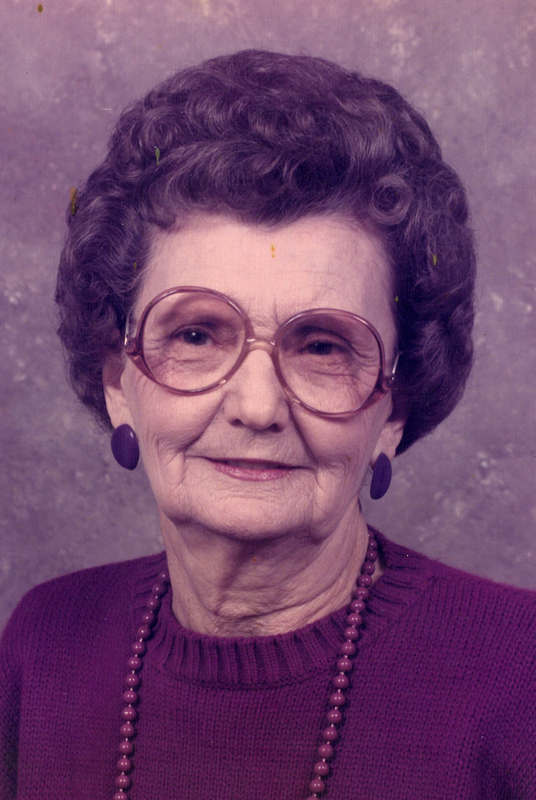 Burial will follow at Blackjack Cemetery in Muldrow, Oklahoma under the direction of Agent Mallory Martin Funeral Service, Inc.
She was born on April 15, 1921 in Muldrow, Oklahoma to Maude (Wright) Riggs and Jess Finis Riggs and passed away on April 4, 2019 in Ft. Smith, Arkansas. She was married to Ernest Columbus Sutton on January 11, 1941 in Muldrow, OK. He preceded her in death on January 18, 1990. Mrs. Sutton was a homemaker and a member of Mineral Springs Baptist Church. Active pallbearers will be Ryan Farney, Trenton Farney, Landon Sutton, Reid Sutton and J. Tyler Keith. Viewing will be 10 AM-8 PM Saturday & 2 PM-8 PM Sunday at Agent Mallory Martin Funeral Home in Muldrow where family will greet Sunday 4 PM -6 PM.